Qingdao Shinehope Technology Co., Ltd.
Fujian Golden Bamboo Industry Co., Ltd. 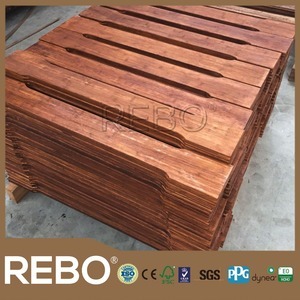 The products are well accepted in the international market and sold in U.S. Q4: Can we mix the 20ft container9 A: Yes,if the items are meet our min order qty. Q8 : Can you arrange the shipment in busy season9 A: We ship more than 500 containers every year. 4. 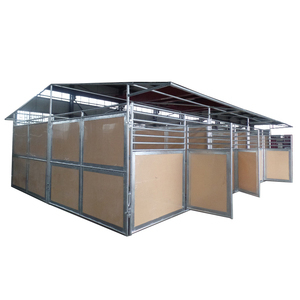 Advantages of our new type livestock horse/cattle/goat cow metal farm fence panels: A Farm fence can stand against fierce striking of cattle, horse,goats,s heep&hellip; B Durable, Lifetime can reach to twenty years. 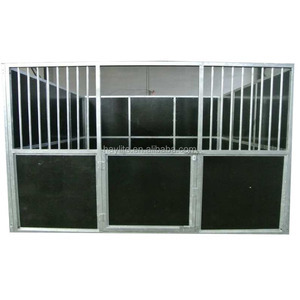 Photos of our Hot sale Australia standard high quality livestock farm cattle metal fence panel: our factory services: 1.Competitive price with superior high quality new type livestock horse cattle Sheep (goat) cow farm metal fence panels. 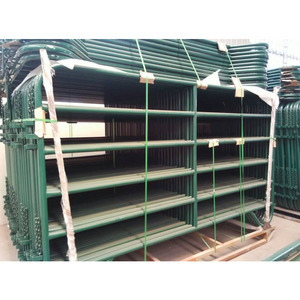 2.Excellent service for pre-sale,on-sale,after-sale If you are interested in our hot sales cheaper livestock farm cattle metal fence panel, please let me know. Structure One whole set includes one front panel and three side panels connected together via hex socket bolts. 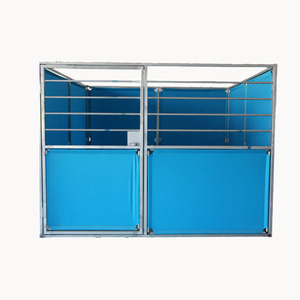 Modular panel size (W*H) (front /side/back panel) 3mx2.2m; 3.6mx2.2m 4mx2.2m Advantage Strong and durable Horse safe , no sharp edges inside Easy setup for modular panel size **Other size and type are available on request. 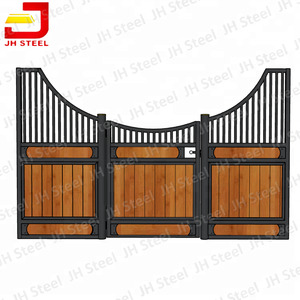 OEM /ODM order welcome Pictures for reference : Other related products: Portable horse stables : Heavy duty Horse fences picture: ISO Certificate : Factory show : 11 Years of metal fabrication manufacturing experience . 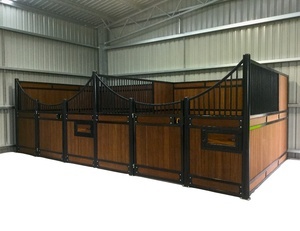 Bowgates for the Round Pens have a 6'W x 8'H frame and a gate to match the Round Pen Panels. 3. Ultimate Designs: We invite you to compare the following features with any panel and gate on the market. 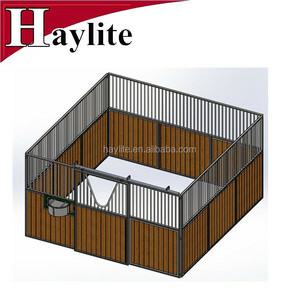 We are confident you will agree that are the "Ultimate in Livestock Fencing". 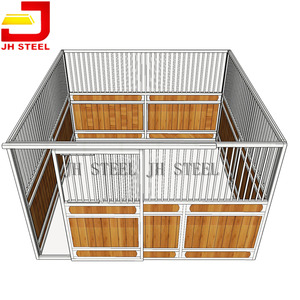 Hot sale stype galvanized wholesale used powder coated horse stall 1.Material: Pre-galvanized,Hot dipped galvanized,powder coating,PVC coated and etc. ur business field is all over the world, such as the United State, Europe, Canada, Italy, Ukraine, Southeast Asia, the Middle East, Hong Kong, Taiwan, etc. Until now, we have finished many famous projects in Australian,USA, Europe, Canada, Italy, Ukraine Southeast, Asia, the Middle East, Hong Kong,etc. 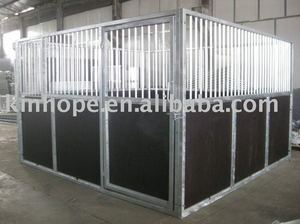 Alibaba.com offers 3,931 horse stalls products. About 30% of these are rubber sheets, 17% are other animal husbandry equipment, and 13% are fencing, trellis & gates. 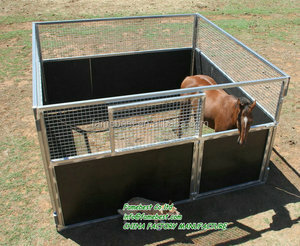 A wide variety of horse stalls options are available to you, such as free samples, paid samples. 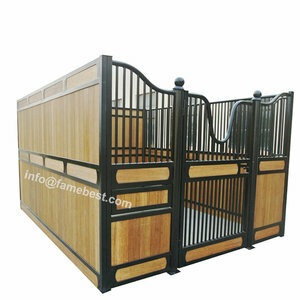 There are 3,814 horse stalls suppliers, mainly located in Asia. 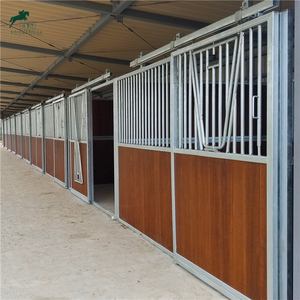 The top supplying countries are China (Mainland), India, and Pakistan, which supply 96%, 2%, and 1% of horse stalls respectively. 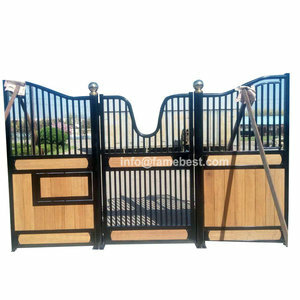 Horse stalls products are most popular in North America, Western Europe, and Domestic Market. You can ensure product safety by selecting from certified suppliers, including 1,065 with ISO9001, 171 with Other, and 97 with ISO14001 certification.